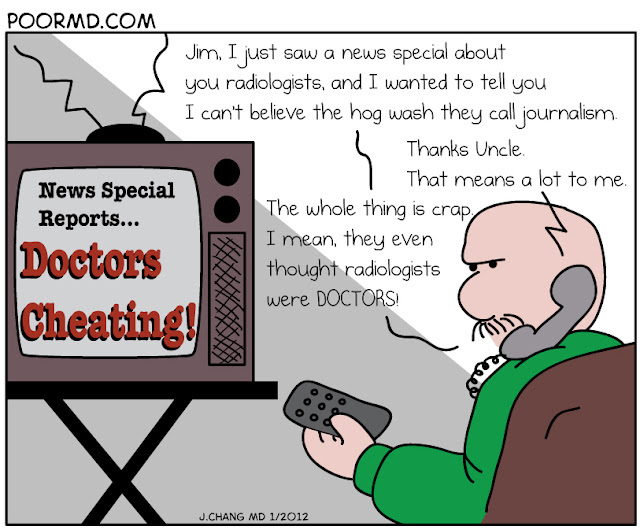 Here is another comic which I originally published on DiagnosticImaging.com back in January, 2012. It must have been a really slow news month for CNN reporters, because they chose to do an "exclusive" on how doctors "cheat" to prepare for board exams through the practice of using "recalls." First they targeted radiologists and then dermatologists. Both stories gained little traction in the media as most lay people do not consider either specialty to be doctors.